“Each canvas takes me on a journey, and as my paintbrush follows, each time I am led back to my centre. I believe that the role of the artist is especially crucial at this challenging and exciting time. While the world is at the precipice of momentous change, artworks have the potential to be maps, and these maps can help guide humanity forward into new and positive ways of seeing and being. Through creativity we have the opportunity to transmute shadow and pain into visions of healing and wholeness. Autumn Skye's childhood was spent traveling the boundlessly majestic landscapes of North America, developing a deep wonder for nature and the diversity of humanity. She's been translating this inspiration through artwork since she was old enough to hold a pencil. Recognizing her curious imagination, creativity was always supported by her family. Autumn Skye's meticulous and poignant paintings continue to gain expanding recognition, attracting collectors and students from around the globe. As a self-taught artist, she has dedicated innumerable hours in creative exploration. Her style gracefully weaves together refined realism, iconic imagery, profound symbolism, and subtle geometries. She teaches and exhibits worldwide, and otherwise now lives and paints on the beautiful Sunshine Coast of BC, Canada. Considering herself immensely blessed, Autumn Skye strives to support others through inspiration and creative empowerment. 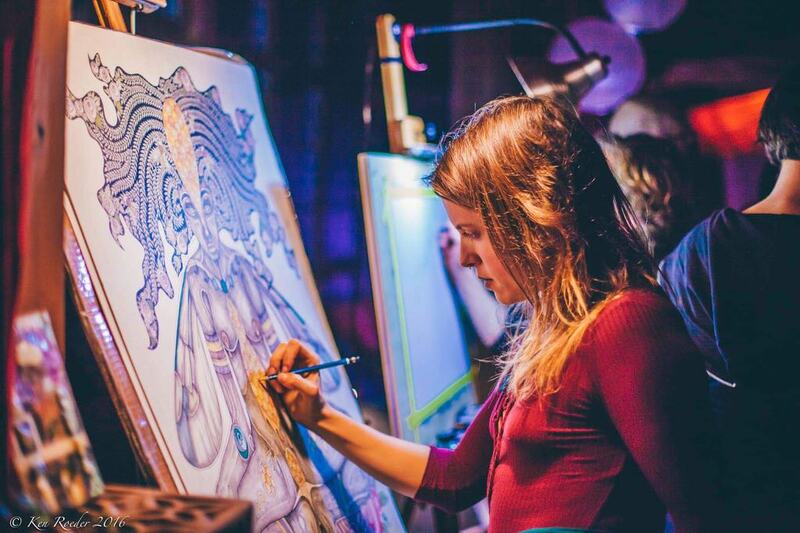 Rose Drummond is a self taught Pacific Northwest artist paying homage to the power of the Sacred Earth and the Divine Feminine. She weaves a complex spell of cross hatched detail while winding in myth, symbols, nature, and the seasons into her pieces. She is influenced greatly by growing with a strong relationship to the natural world, being out in quiet spaces, and listening deeply to the land, its peoples, and not shying away from the natural grief that comes with imbalance of paradigm. 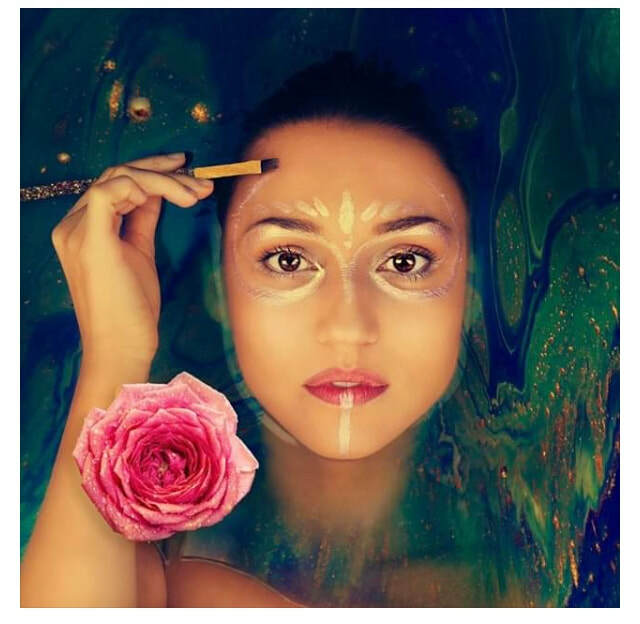 Rose is focused on bringing a new paradigm to life, one that honors the Earth, recognizes Feminine Power as the creators of life, and acknowledges the power of Divine Sensuality. She believes that the more this paradigm is witnessed, the more likely it will become reality. You can find Rose at festivals up and down the West Coast. When she's not on the road, she's most likely elbow deep in soil, snuggling her pups, or baking extravagant cakes.